There are three types of windmills in Finland, each with distinctive regional variations in building technique and design. All these machines and their outer skin are made by hand out of wood, and not two windmills are alike. Most of the surviving 700 are small farm mills with the sole function to grind flour. Together with the mills on the islands of the northern Baltic Sea Finnish mills form a unique group among the mills of the world. Every one of these old machines testifies of the history of mechanics, agriculture and architecture. Example of a post mill in Närpes, Finland. Hollow post mill in Uusikaupunki, Finland. A smock mill in Uusikaupunki, Finland. 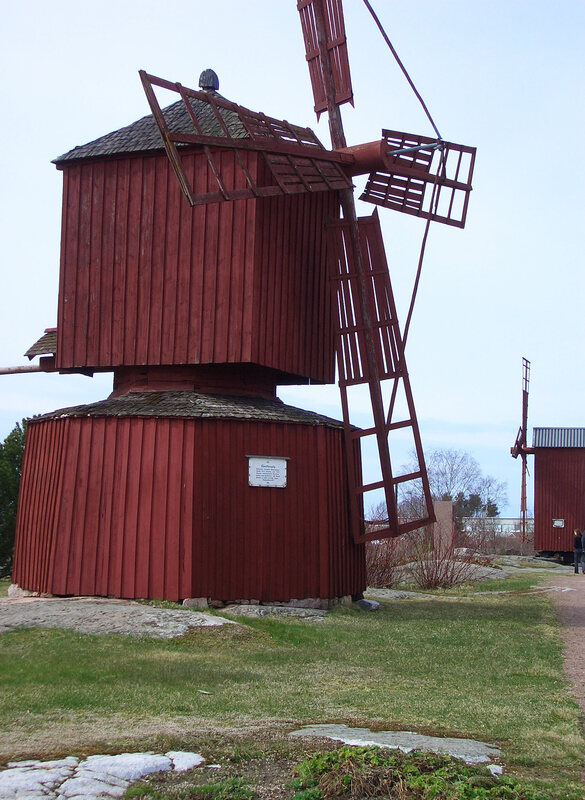 There are three types of windmills in Finland: post mills represent the oldest type; hollow post mills represent a type that dates back to the second half of the 18th century; and smock mills, which are called mamselli in Finland according to mademoiselles who wore the smocks, were also introduced in the late 18th century. Most of the surviving mills were built in the 19th century. According to Hirsjärvi & Wailes “smock mills were used by the manors; hollow post mills were built by the larger farmers, and post mills by smallholders”. 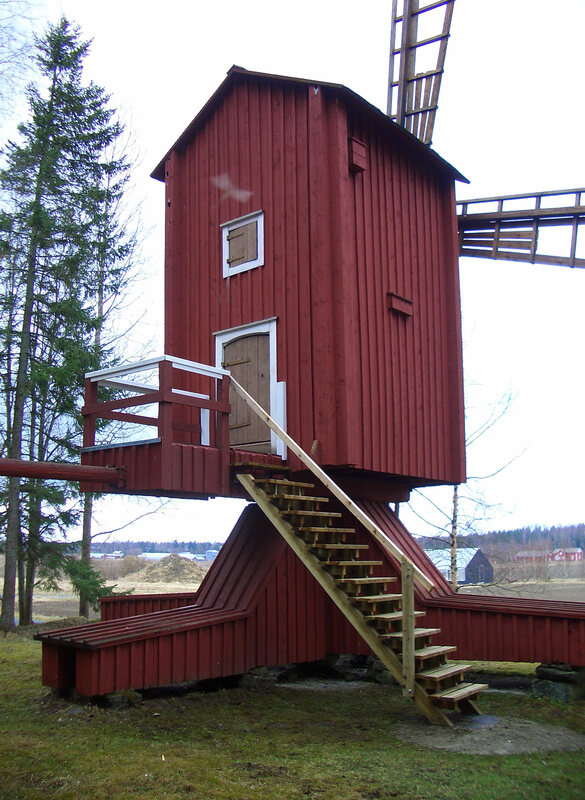 All Finnish windmills are made of wood with one exception. Today most of them are painted with red earth paint, and indeed, this is known to have been the tradition since long at least in the western and central parts of the country. 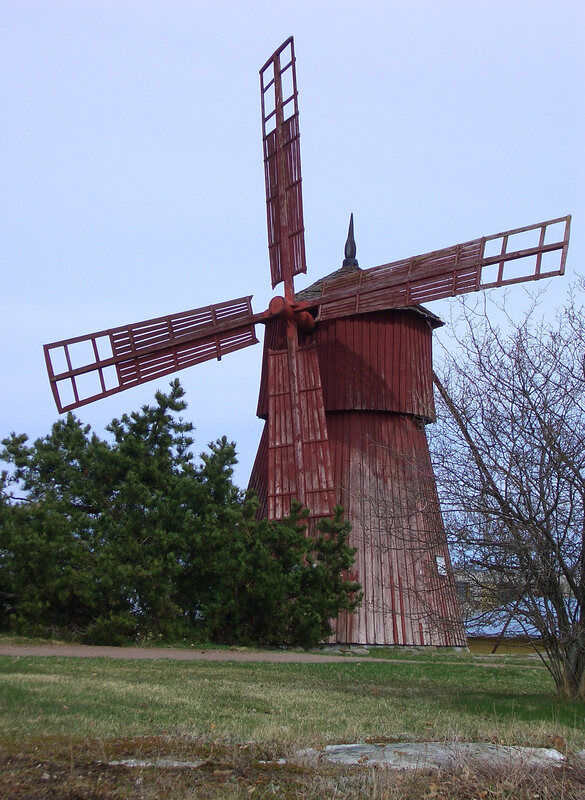 Windmill technology was brought to Finland from Sweden. Windmills were mentioned for the first time in 1463 in this eastern province of the kingdom. Towards the end of the 16th century their number is known to have grown to about 400. Over the centuries the technology spread from the southwest through the whole country. Water–powered mills always dominated in areas with waterways but windmills were built in great numbers over the next three centuries where fast flowing rivers and rapids are scarce. The glossary of windmill terminology is based solely on the available literature and Internet sources. Despite its limitations it should help those who are inspired to go on studying the subject in these languages.